Shampoo is like soap for your hair - in fact, until recently, soap was what most people used to clean their tresses. Its primary purpose is to clean dirt and excess oil from your strands. That's it. Shampoo can contain any number of the following ingredients: Water is usually the first or second ingredient listed on a bottle of shampoo. It dilutes the detergent and gives shampoo bulk. Surfactants are detergents that cleanse and create lather. Because it is cheap to produce, sodium lauryl sulfate is the most popular detergent and is usually the only detergent used in supermarket and drugstore shampoos. Unfortunately, it is incredibly harsh - and, if you believe the rumors moving through the beauty industry - it may also pose a cancer risk. Other surfactants include sodium laureth sulfate, sodium cocoyl isetheoinate, methyl cocoyl taurate, cocamidopropyl betaine, cocamidopropylamine oxide, ammonium lauryl sulfate, ammonium laureth sulfate, and alpha olefin sulfonate. Detanglers and anti-static agents are found in some shampoos. Quaternary ammonium compounds are common. Humectants attract and retain water. Found most often in shampoos for dry, damaged, or chemically treated hair, the most common of these include glycerin, sorbitol, and hyaluronic acid. Conditioning agents soften hair and retain moisture. Examples include amino acids, collagen, panthenol, proteins, and elastin. Thickening agents give shampoos viscosity and make them easy to handle. A commonly used thickening agent is hydroxyethyl cellulose. Preservatives prevent contamination from mold or bacteria. Search the label for methylparaben, quaternium-15, or propylparaben. 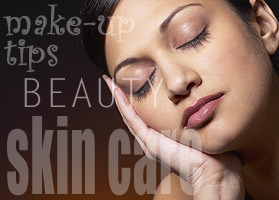 Cosmetic ingredients - and this includes hair-care products - are listed in descending order. This means a product contains most of whatever ingredient is listed first, and least of whatever ingredient is listed last. Choosing a shampoo How a shampoo cleans your hair is what makes you fall in love with it or wish you'd never purchased it: Some shampoos are aggressive and not only sweep away dirt, but also your hair's protective sebum - in fact, some are so aggressive that they rough up your hair's cuticle layer. Others contain high doses of moisturizer ­too much, perhaps, for your hair. To help you find a shampoo that works for your hair type, many manufacturers create formulas for specific hair types. Daily or normal hair shampoos are middle-of-the-road shampoos with a balance of cleaning and moisturizing properties. Moisturizing shampoos contain less detergent than other shampoos. They also boast a generous dose of conditioners to attract and retain moisture, making them ideal for dry, damaged, permed, or color-treated hair. Deep cleansing or oily hair shampoos contain a concentrated dose of detergents to remove impurities and oils. These often rough up the cuticle. For this reason, only the oiliest of the oily among you should use these - experiment first with normal hair shampoos. If they don't leave your hair as clean as you'd like it, then try an oily hair formula. Specialty formulas include shampoos to add body to limp hair, make gray hair sparkle, or coddle colored strands. When washing hair, concentrate shampoo at hair's roots and allow shampoo to slide down the hair shaft as it is being rinsed out. Lathering the entire head creates tangles and dries out the hair's fragile ends.